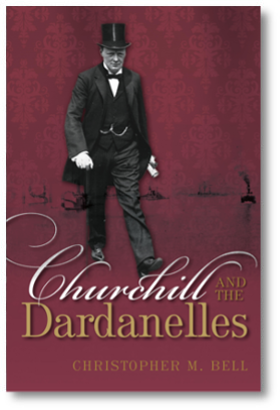 Based on exhaustive archival research, Churchill and the Dardanelles provides a detailed and authoritative account of the Gallipoli campaign's origins and execution. "Professor Bell has written a very well argued defence of Winston Churchill against those who rebelled against his immense post-World War II prestige..."
This is the first study to show how the Royal Navy’s ideas about the meaning and application of seapower shaped its policies in the interwar period. Malcolm Murfett, International Journal of Maritime History. "fascinating ... a marvellous book" " It is wholly recommended to all students of World War I, of Churchill, and of political systems under pressure." "Bell supplies answers in this illuminating and fluent analysis of one of the most controversial and emotive episodes of the First World War." “admirably balanced” “superb” "a clear and authoritative account about Churchill’s role in the Dardanelles offensive. Bell’s style is easily accessible for the armchair strategist but is equally thorough and well footnoted for the weathered naval historian. Everyone can appreciate the enormous efforts and herculean tasks Bell undertook to disentangle the reality of the Dardanelles from its various narrative myths." “commendable" "as definitive an answer ... as we are ever likely to get"